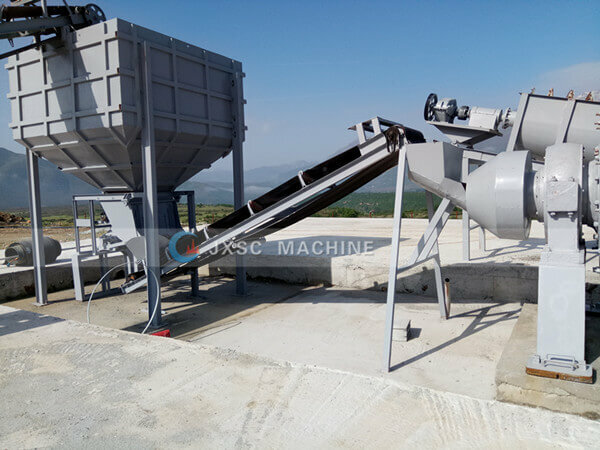 Chrome Ore Mining Process: First use hopper and vibration screen feeding stone chrome to preliminary crusher, then to fine crusher, Then use belt conveyor to a hopper, underside the hopper has a feeder, feeder 0-20mm size to ball mill, ball mill working together with spiral classifier, then get 0-1mm size to shaking table, shaking table also have two stages, one for preliminary, one for fine. Then can recovery chrome. 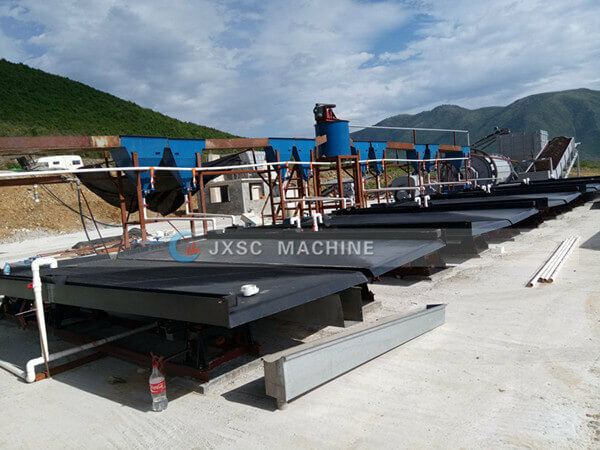 This Chrome Ore Mining processing line is for our Albania customer, The Chrome wash plant capacity is for 10 tons per hour, Feeding size is for 300mm, the feeding size is big, so need two stage jaw crusher, use two-stage jaw crusher can get the 0-20mm size. 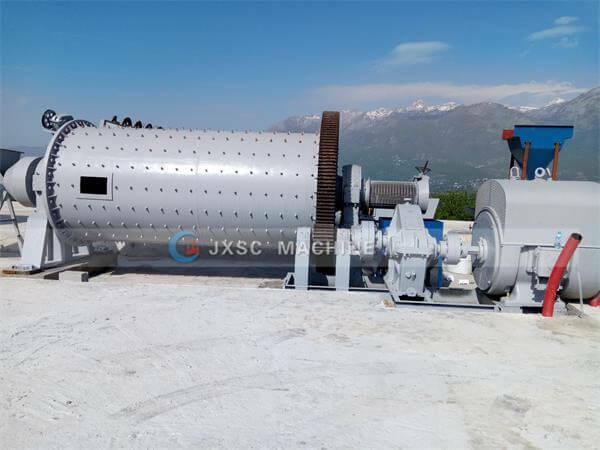 Spiral classifier is for classifier ball mill output material, 0-1mm size to shaking table, and +1mm to ball mill grinding again. 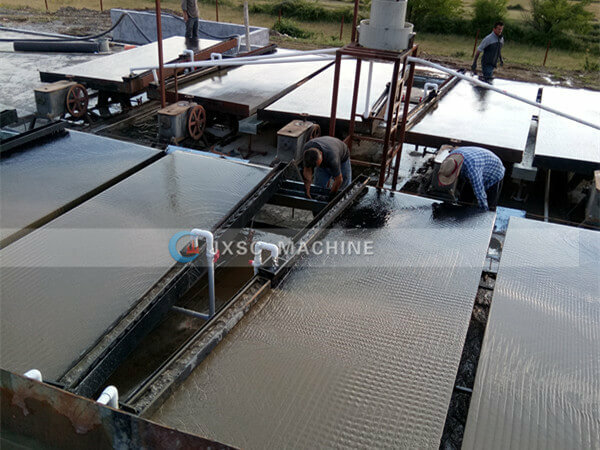 The shaking table also has two stages, so this line has added a hydraulic box to feeding material to shaking table, the hydraulic box also can separator different size, the different size to different shaking table, course deck, fine sand deck, slime deck, use the different deck to get the highest recovery rate. Our engineer goes to customer chromium ore mining site for install and debug. It has used one month to finish all of the machines install and debug, to confirm all chrome washing machine operation regularly. Our factory also do sample test, it can send sample to our factory for test, also our engineer can go your mine site to inspect and take sample for test. Chrome processing flow chart design is available, contact us to get the Chrome process flow sheet PDF. Welcome to visit our JXSC mining equipment machinery factory. We cooperate with many chrome ore mining companies in South Africa, been in the chrome spiral plant business since 1985, has won a good name in the chrome mining industry, chrome wash plant for sale. For chrome ore beneficiation, China’s chrome ore processing equipment industry relatively mature mining machinery, chrome ore processing machinery, chrome ore crushing machinery, chrome ore grinding machinery, sand-making machinery, chrome washing machine, chrome ore screening machinery, chrome mining equipment, mining feeder machinery, supporting equipment and other equipment chrome ore. besides, we can according to different chrome mining methods and conditions to give professional chrome ore beneficiation process advice.